The holidays are a time for traditions. Baking cookies. Ringing the bell for the Salvation Army in front of the farmer’s market. Caroling. Holiday lights. Gift exchanges. Mulled cider. Spending time with loved ones watching holiday movies while decorating the tree. 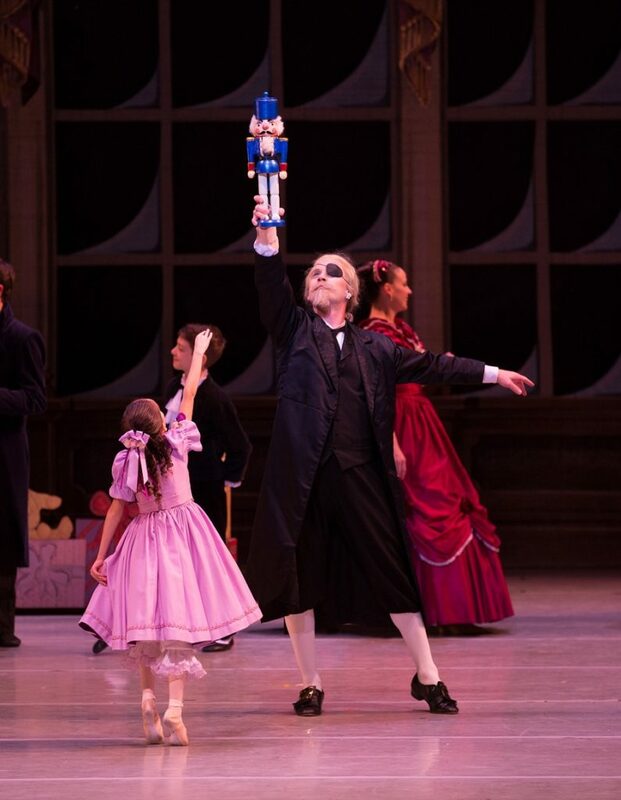 Central Pennsylvania Youth Ballet’s production of George Balanchine’s The Nutcracker®, is an enchanting reminder of the importance of holiday family traditions. The performance opens with a festive party scene where generations of family and friends gather to play music, dance and share holiday merriment. The children and adults alike are filled with good cheer. Even the senior members of the family get in on the fun! For many families, attending a Nutcracker production is part of their holiday traditions. And it’s no wonder why. The elaborate stage elements unleash imaginations – a Christmas tree grows to staggering heights; falling snow gives goose bumps; Mother Ginger provides comedic interludes and the Sugar Plum Fairy makes hearts flutter! And the iconic music is sure to put everyone in the holiday spirit. It’s a show that is fun for all ages. One of my favorite holiday traditions is actually kind of silly. 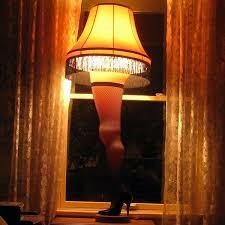 Each year, at Thanksgiving, I put my full-sized leg lamp in the front window, for all to see in its glory. It lights the holiday season in the house all the way to New Year’s Day. Over the years, this lamp decked out many holiday seasons through various stages of life. My favorite, however, reminds me of the first holiday season with my wife. What would my new bride think? Would I be able to continue this tradition inspired by one of my favorite Christmas movies? Or, would my lamp get kicked to the curb? Much to my surprise (and delight! ), Mrs. was actually willing to let me display it. However, there was one stipulation. She wanted to paint the bottom of the high heel red, like a pair of Christian Louboutins. I readily agreed and counted it as a “Christmas miracle.” WE now had a holiday tradition of our own! It is our traditions that make the holidays so special. And, while there are no leg lamps, I think ‘The Nutcracker’ ballet is spectacular. In fact, going to CPYB’s ‘The Nutcracker’ is one of our new holiday traditions. One my wife took to right away – with no stipulations or compromises! However, it took a little more convincing for her to join me in the 24-hour “A Christmas Story” movie marathon on Christmas Eve. While you may not have any leg lamps in your home or watch “A Christmas Story” for 24-hours straight, I do encourage you to make George Balanchine’s The Nutcracker® part of your holiday tradition! Mike Wilson is Chief Marketing Officer / Chief Relationship Officer at Members 1st Federal Credit Union. Mike has an MBA and over a decade in marketing and advocacy experience. 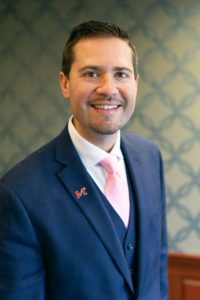 An Army brat who has lived many places, domestically and abroad, Mike is proud to call the Harrisburg region his permanent “home.” Mike is an alum of the Leadership Harrisburg, Cumberland, Lancaster and Lebanon programs, and is a Central Penn Business Journal Forty Under 40 recipient. Mike serves on a number of boards, including the Children’s Miracle Network, the National Federation of Independent Businesses, the USO and several others. Most importantly, Mike is the very proud husband to his beautiful, supportive and very-freckled wife, Amy – and father to their super-snorty rescue Pug, Edie Merlot. An entrepreneurial thinker with a passion for bold and unapologetic marketing, Mike is always happy to support businesses and give back to the community through his role at Members 1st. I believe in family traditions and my daughter, who is 26yrs.old, &I have been coming to the CPYB performance of the Nutcracker since she was 4 yrs.old. We have seen several other productions, but both agree that CPYB ,Hershey Theatre,& Hershey Symphony accompany is the BEST!